Light steel structure building is a new type of building structure system, which is formed by the main steel framework linking up H-section, Z-section, and U-section steel components, roof and walls using a variety of panels and other components such as windows and doors. 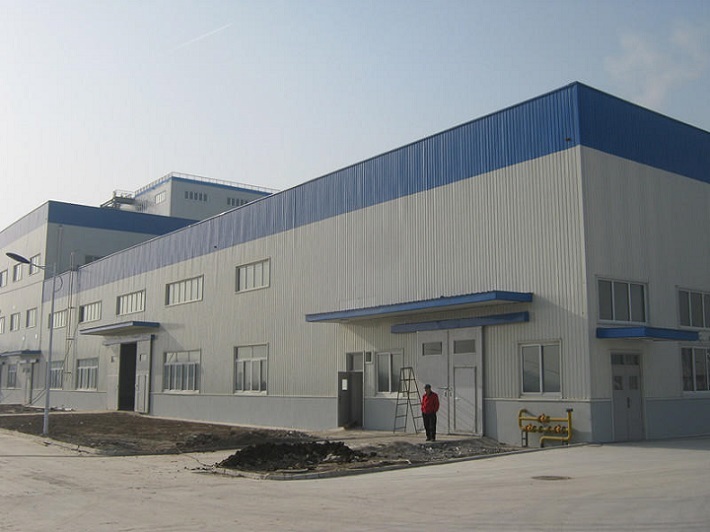 Light steel structure building is widely used in warehouses, workshops, large factories etc. 1) Wide span: Single span or multiple spans, the max span is 36m without middle column. 2) Low cost: Unit price range from USD35/m2 to USD70/m2 according to customers request. 3) Fast construction and easy installation. 4) Long using life: Up to 50 years. 5) Others: Environmental protection, stable structure, earthquake proofing, water proofing, and energy conserving. 6) Doors and windows can be designed at anywhere which can be made into normal type, sliding type or roll up type with material of PVC, metal, alloy aluminium, sandwich panel etc. Our 15 years' expertise guarantees your 100% enjoyment and faith!